The Valley of Flowers is a National Park located between the Zanskar and Great Himalaya ranges. It is home to the Asiatic black bear, the reclusive snow leopard, and the red fox, amongst other endangered species. As you walk, you'll smell the roses blooming, and pick wild strawberries or taking photographs of rare orchids and primula flowers. • Trek to Valley of Flowers, one of the most beautiful spots in the Himalayas. • Visit the ice-cold lake and gurudwara of Hemkund Sahib. • Stay in scenic Ghangaria in hotels. • Trek along rivers and drink from streams. 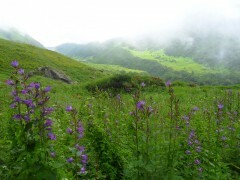 Travellers are required to adhere to the instructions of the trek leader during the trek to Valley of Flowers. 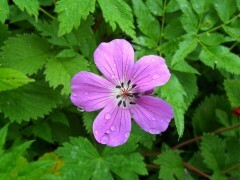 For cancellations made 0-10 days before departure of the Valley of Flowers trek: No refund. 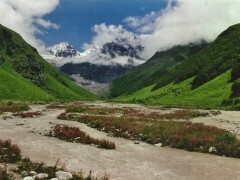 For cancellations made 11-15 days before departure of the Valley of Flowers trek: 50% refund. 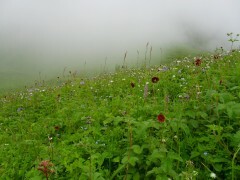 For cancellations made 15 days or more before departure of the Valley of Flowers trek: 85% refund. If the Valley of Flowers trek itinerary has to be aborted/rescheduled for extreme weather/safety of the trekkers and crew, there will be no refunds. This trek takes you up to about 15,000 feet at Hemkund Sahib. Please consult your physician about taking suitable preventive medication for high altitude sickness. The tour operator takes utmost care to ensure safety of the travellers and shall not be held responsible for any mishap or accident during the trek to Valley of Flowers. Travellers will be required to sign an indemnity form before departure of the trek to Valley of Flowers. You'll set off at 06:30 hrs from Haridwar. You'll drive past Devprayag, to see the confluence of the Bhagirathi and Alaknanda rivers. It's a drive of about 290 kms and will take you almost all day. 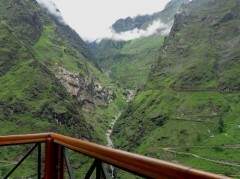 By evening, you'll get to Joshimath and check into a cosy hotel. Go to bed early so that you can wake up and get a good start on your day. Overnight in hotel. 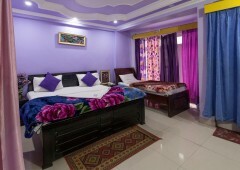 Stay in a comfortable hotel in Joshimath. Eat a delicious breakfast and jump aboard vehicles that will drive you to Govindghat. This is the start point of your trek. From here, you'll be walking through apricot trees and into the greenery. The trek is about 14 kms to get to Ghangaria, but it's not too hard and will warm you up for the rest of your trekking days. You'll check into a hotel in Ghangaria. Overnight in hotel. Head off into the wild towards Ghangaria. Today you set off into the Valley of Flowers. It's a short trek today (only 4 kms or 3 hrs one way) and will give you plenty of time to explore the valley and admire the views. You'll cross a small sparkling stream and cross over into a wonderland of gorgeous flowers. Around you, waterfalls gush out over the tops of mountains, and you can see the mist rolling in. You'll spend the day here, and return to your hotel in Ghangaria later. Overnight in hotel. Jump over streams in the Valley of Flowers. Today's trail is a little harder, and you'll climb upwards to the famous Hemkund Sahib Gurudwara. There are seven mountains surrounding the lake, and usually a layer of broken ice still floating on the water. You'll spend some time here and then return to Ghangaria, stopping en route to take in the views. Overnight in hotel. Trek up to Hemkund Sahib. Today you begin with a trek back to Govindghat. You won't feel like saying goodbye to the Valley of Flowers, with all it's natural beauty and flower-scented air. Vehicles are waiting for you at Govindghat, and will drive you to Badrinath. Visit the temple at Badrinath and travel back to Joshimath. A visit to Badrinath is subject to good weather. A final call will be taken by the trek leader on the day of the visit. If the visit to Badrinath is skipped, you'll be driven directly to Joshminath. Overnight in hotel. After breakfast, you'll be driven back to Haridwar today, and will be happy to rest your legs after days of trekking. You'll get to Haridwar by about 18:00 hrs, and will be dropped off at the station. Trip ends here. Overnight at Joshimath in hotel. 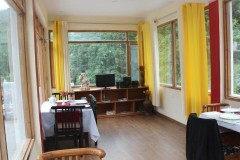 You'll spend the night at The Himalayan Abode or similar hotel in Joshimath. 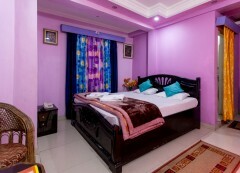 You'll be staying in deluxe rooms with attached washrooms on a twin-sharing basis. Today's meal package includes only dinner. You may visit any of the restaurants in Joshimath to have additional meals at an extra cost. You'll spend the night at Hotel Nanda Lokpal or similar hotel in Ghangaria. You'll stay in deluxe rooms with attached washrooms on a twin-sharing basis. Today's meal package includes breakfast, lunch, evening snacks, and dinner. All meals will be vegetarian. When available, eggs will be served as well. 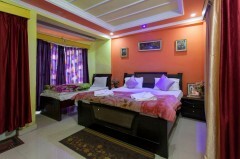 Stay in a comfortable hotel in Ghangaria. You'll spend the night at The Himalayan Abode or similar hotel in Joshimath. You'll be staying in deluxe rooms with attached washrooms on a twin-sharing basis. Today's meal package includes breakfast, lunch, evening snacks, and dinner. All meals will be vegetarian. When available, eggs will be served as well. oday's meal package includes only breakfast. You may visit any of the restaurants en route to Haridwar to have additional meals at an extra cost. Your trip ends here. For air travel, the closest airport is the Jolly Grant Airport (30 kms) in Dehradun. Train travel is recommended as there are many options available. You can also take a bus from Delhi, including Volvos. The operator will arrange your transport to the start point of the Valley of Flowers trek.